Most of the time I cringe when I hear someone offer this advice: “You have to do what makes you happy.” I’ve seen too many people follow this counsel to its logical conclusion, only to be hurt and lost. Happiness is fleeting. What makes us individually happy is rarely a way to measure a good life. When we offer advice like this, I wonder if we are more concerned that the person needing the advice avoids pain and feels better about him or herself. Are you happy in this relationship? Are you happy in your job? Are you happy in your $50,000 convertible? Is happiness really the issue here? If we are willing to be sincere, however, taking time to reflect on the meaning of happiness and its connection to a life well lived is often a helpful and healthy exercise. Young Adult is a movie that invites viewers to consider two important, life-shaping questions: What is happiness? What is the essence of a good life? Mavis (Charlize Theron) has been living life based on a script that hasn’t worked. She was the most popular girl in high school, had gone off to college and then moved to the big city to make something of herself. Freedom was Mavis’s dream. Free from the confines of a small town, free from the expectations of her parents, free from the shackles and burden of being married or raising a family. Free to do whatever she wanted. No restrictions. No restraints. Her occupation as a ghost writer for a young adult fiction series gave her the flexibility and presumably enough income to live her dream. But the dream was slowly becoming a nightmare. The story that was supposed to bring liberation began to enslave her. Mavis learns that her high school sweetheart, Buddy (Patrick Wilson), had gotten married and had recently had a child. Buddy worked for his father’s business, still lived in the town in which he grew up, and now was producing offspring. It was too much for Mavis to take. How could Buddy live such a boring story? How could he lose control of his life in such a tragic way? There was only one thing for Mavis to do. She had to save him. She devised a plan to seduce Buddy away from his wife and child. “Everyone gets old. Not everyone grows up.” The movie’s subtitle says it all. Critics have described Young Adult as “hilariously awkward,” “darkly funny,” “wryly amusing,” and “a cringefest in the best way possible.” My guess is that screenwriter Diablo Cody (Juno) was hoping for this kind of response. Young Adult is a movie worth watching, especially for those charged with helping adolescents grow into healthy adulthood. It forces us to think more deeply about the meaning of a good life, the importance of community, and the cultural narratives that shape our desires and imaginations. There is growing concern that young people are taking too long to “grow up.” Social scientists have named it extended adolescence and emerging adulthood. Churches seem to be perplexed about how to “reach” people in their 20s and 30s. Young Adult is a gift to those who wish to better understand our cultural moment and the hopes and fears of our young neighbors. It isn’t an easy movie to watch, to be sure. It is, after all, a cringe-fest. It probably won’t make you happy. But being uncomfortable isn’t always a bad thing. Oftentimes it moves us toward empathy and action. Derek Melleby is the Director of the College Transition Initiative, a ministry of the Center for Parent/Youth Understanding and the Coalition for Christian Outreach. He is the author of Make College Count: A Faithful Guide to Life and Learning and lives in Mount Joy, PA with his wife and two sons. We are excited to host another guest blogger at Reel Thinking tomorrow. Since we know that most everyone loves movies, we love to hear from others as they speak on films that impact them. We also love to host guest bloggers on weekends that don’t have any strong films being released at the local cineplex. Therefore, we are more than happy to welcome Derek Melleby. Derek will help us take another look at a film we’ve already reviewed, which illustrates a helpful truth we have mentioned. As we have said, we will often look at specific films from various aspects to demonstrate that a single film can illuminate many truths, which is the case tomorrow. So be sure and come back by tomorrow and make Derek feel welcomed. Unless you’ve been living in a cave doctoring one of the injured contestants from the Hunger Games, you haven’t heard of the film, The Hunger Games. It has smashed records and exceeded box-office predictions. In fact, it had the third highest grossing weekend of all time. Harry Potter and the Deathly Hallows: Part 2 maintains the highest grossing weekend and The Dark Knight comes in second. However, we want to know which film, of the three, you think is best? The people have spoken–especially the pre-teens and teens! 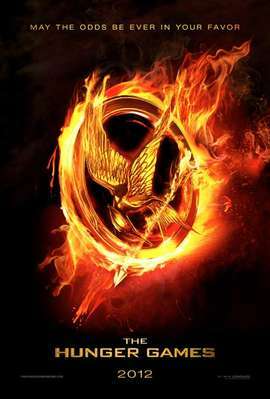 The Hunger Games set the box office opening weekend record for a non-sequel film, making a whopping $155 million dollars. And, according to rottentomatoes.com, 95% of the moviegoers recommend the movie. This sort of response demands just one more post, so once more into the fray we go. If you haven’t read the two other reviews yet, please look at post one and post two first, since this one will build on those thoughts. 1. Suzanne Collins has commented that she wrote this book as a critique of war (especially the Iraq War). In that light, what does she want us to think about war? Do you agree with her? 2. If you came out of this movie saying that it was “great” or “awesome,” why was it great? Because the story was so sad/distressing/painful? Because the heroes “won?” Because of the characters? Because of the action? Because it showed you how horrible life is without God? Why? 3. There are reviewers of this movie that believe our children need to see even more violent movies because we shelter them too much from violence. Do you agree or disagree? And, how does that square with the research that estimates children see approximately 16,000 simulated murders and 200,000 acts of violence on TV shows/movies by the age of eighteen? 4. Some have suggested that the extreme violence of The Hunger Games is okay for children because the Bible is filled with violence. So, what’s the difference between a story of a violent world without God and one with God? 5. Some also believe that the film teaches children how miserable a world without God really is. Is this what you took away from the film? Before you answer, consider this: When will our children actually experience a world without God? Even in the most evil of times in Scripture (think the days of Noah or the Judges), God was still in control, and God still intervened and delivered His people. So how does a totally naturalistic story teach us anything about our own reality? 6. My apologies if this offends all of you friends-of-Katniss: But what makes her the heroine of the story? I know, it’s written from her perspective, and the author wants us to view her as the hero. And she is certainly very heroic. But, aren’t all twenty-four children “innocent?” Don’t they have parents and loved ones too? Shouldn’t we be rooting for all of them? Are there really any “good” guys or “bad” guys in the Games? 7. The storyteller wants us to believe that Katniss does absolutely all that she can do in this miserable situation. Maybe so. She doesn’t really want to kill anyone. She actually wants to figure out a way to destroy the Games. But could she have done something else? For example, what about just refusing to play? In other words, what about martyrdom? Think of it this way, if someone told you to kill an innocent 15 year old girl or you will be killed, what would you do? Or how about this way…how do we compare Katniss’ choices to the choices of Joseph, Daniel, or especially Shadrach, Meshach, and Abednego? 8. We are also led to believe that the adults in the districts are absolutely unable to resist the Hunger Games. Since they lost the rebellion, this is the only way to survive. But is this realistic (I know, it’s fiction)? Consider that, even in the most repressive regimes in history, there have always been people who refuse to go along with the program. Shouldn’t there have been adults who gave their lives for these children (you’ll have to kill me before you take my kid sort of thing)? 9. Many have said this story, at its core, is really just about surviving. That’s certainly true. But is life for the Christian in this world ever just about surviving? Do we embrace a Darwinian worldview and believe deep-down in the “survival of the fittest?” Think about first century Christians and their Roman oppressors. Were they exhorted by God’s Word just to survive a hopeless situation, or to strive for something more (See I Peter)? 10. Effie introduces the Games this way: “And may the odds be ever in your favor!” Is this your view of life? Is it all just random? Or, to put it another way, do the rich and powerful always have the best odds in this life? Is life just a game of chance? That should be plenty to think about. May The Hunger Games make us all the more thankful that we have a loving, gracious, and all-powerful God in control of our world! Wrath of the Titans – In this family reunion, Ares & Hades capture Zeus, but Perseus fights through the underworld to rescue his daddy. Genre – action, fantasy, adventure; content – violence, language, disturbing images, demons. Mirror Mirror – Seven dwarfs and a princess fight against an evil queen. Yes, it is what you think it is, except they renamed the dwarfs…seriously! Genre – fantasy, family, adventure; content – action and rude humor. As the participants of The Hunger Games battle for their lives, we too find ourselves in a war for our culture. The weapons of our warfare aren’t bows, arrows, knives, or spears, “but [our weapons] have divine power to destroy strongholds. We destroy arguments and every lofty opinion raised against the knowledge of God, and take every thought captive to obey Christ…” (2 Corinthians 10:4-6). Our young people who read the trilogy and await the big movie opening today are deeply involved in the battle of ideas and beliefs. So, to help them (and even us adults), let’s consider just a few of the cultural lies that are launched at us throughout this novel-based film. Cultural Lie #1: The Supremacy of Feminism. Katniss Everdeen is the heroine of the story. She is strong, determined, courageous, and sacrificial. Now, there’s nothing wrong with a girl having these character qualities. Yet Katniss is also extremely feministic in her attitudes and mindset, as well as deeply hardened emotionally. This is the feminist ideal. Modern feminism idolizes strengh, power, independence, intelligence, and success in women (not to mention the distrust of authority and bitterness against men)–all embodied by Katniss. And, most of the girls that are portrayed as somewhat “feminine” in the story are too soft, weak, or ditzy. Cultural Lie #2: The Feminization of Men. The male hero in the book is Peeta Mellark. Of course, he is greatly overshadowed by Katniss (see point #1). Even though Peeta is physically strong, he’s also soft, sensitive, and lacks true skills or even intelligence. This is the typical role reversal that is encouraged in American culture. Peeta is “carried” most of the game by the gifted and courageous Katniss. He wouldn’t be alive without her! And finally, he longs to pursue Katniss as a girlfriend, but lacks the courage. He is the embodiment of the feminized male. Cultural Lie #3: The Superiority of Children over Adults. Continuing a trend that we have seen in TV and movies for most of my lifetime, the children of The Hunger Games are far superior to adults. This may be seen as acceptable story telling, since the intended audience is adolescents. But this lack of adults with any real character is yet another piece of cultural propaganda. Kids always win. The adult establishment is always corrupt. This is the formula of The Hunger Games. We meet the much overdone alcoholic male. There is also the requisite gay (or at least gay-acting) man. And loads of controlling adults. Granted, there are plenty of bad kids in the story too–but they were clearly made that way by adults. Cultural Lie #4: The Purity of Teenage Romance. What’s a story without a good romance? Even in a nearly hopeless battle for your life, there’s time to fall in love! But what is quickly forgotten is that these are just teenagers–Katniss is only 16 years old. Yes, I know that’s the mandated age for teenage romance to begin–or at least it was when I was a teen. But that’s the problem, in my humble opinion. Our cultural lie is that teenagers should be falling deeply in love and maintaining emotional relationship–even as middle schoolers. And, in The Hunger Games, we even have an adolescent love triangle to boot! Teenagers already believe that they are fully equipped to date and invest themselves into physical and emotional relationships. This story just continues the cultural lie of the innocent purity of teenage romance. Cultural Lie #5: A World without God. Finally, what is most striking when you read The Hunger Games is the total lack of reference to God. There’s not even some sort of “higher power!” Collins has created a world that is totally naturalistic, making the story even more hopeless and meaningless. The only entity with godlike power is the Capitol. It acts in total control of the people. During the games itself, it is the Capitol that swoops in and helicopters the dead children away like a mystical hand from heaven. Now Collins may be trying to communicate the horrors of making the State a god with total sovereign power. Yet there are many who will watch this movie and continue to believe the cultural lie that God really doesn’t exist. In other words, the Panem of the future is really no different than the world of today. And we already have too many of our young people living their lives without reference to God. How sad it is to see stories that only confirm this sort of life–even if it is portrayed as pure misery! These cultural lies are nothing new. Sometimes it’s easy to overlook them. Other times they get just plain annoying. But ALL the time they are strong mind-altering weapons used against our young people. While many of our teens will enjoy the action and drama of The Hunger Games, use it as an opportunity to battle for a Christian worldview! When this “young adult” novel first gained popularity, I was asked to review it in order to evaluate its appropriateness for middle school students. After reading it, my general conclusion was that The Hunger Games was much more “adult” than “young adult”– not just for the violence, but the intense brutality, deprivation, and tyranny mixed with adult romance. Even though the book contains much to discuss from a worldview perspective, my concern was that few parents would ever have those conversations with their children. Now, with the buzz of the opening of the movie, more children than ever will absorb the story. So parents, If you allow your children or teens to see The Hunger Games, you won’t miss the opportunity to teach them through it! The Hunger Games is set in the future, in the nation of Panem (what was once North America), a shining Capitol surrounded by twelve outlying districts. Each year, the state-like districts are forced by the Capitol to send one boy and one girl between the ages of twelve and eighteen to participate in the Hunger Games, a brutal and terrifying ﬁght to the death – televised for all of Panem to see. When Katniss Everdeen, our sixteen year old heroine, steps in to take the place of her sister in the Hunger Games, she knows it may be her death sentence. If she is to survive, she must weigh survival against humanity and life against love. Without spoiling too much of it for you, the context of the story is really just an extreme reality TV show. It’s like an episode of Survivor that is actually about surviving! The Hunger Games are no “games” at all, even though they are treated as such from the “selection show” to the player interviews to its televising practices, etc. It is truly a prophetic message of where our modern appetite for reality TV may take us someday. Well, they’re often set up as games and, like sporting events, there’s an interest in seeing who wins. The contestants are usually unknown, which makes them relatable. Sometimes they have very talented people performing. Then there’s the voyeuristic thrill—watching people being humiliated, or brought to tears, or suffering physically—which I find very disturbing. There’s also the potential for desensitizing the audience, so that when they see real tragedy playing out on, say, the news, it doesn’t have the impact it should. Collins makes some good observations. Human beings have always loved being spectators of sports and games. We love cultivating our rivalries (see my post on The Prestige). We are intrigued by skills and abilities we do not possess. We long to be entertained. But while these may be general human characteristics and desires, they also may reflect our sin nature more than the image of God. Our “interest in seeing who wins” may demonstrate a longing for ultimate victory in Christ; or it may also be a sign of our tendency towards prideful self-gratification. Our desire to “relate” to contestants can point to our being created by God for relationships; or it can also be an indicator of our avoidance of true relationships. Our penchant to watch talented people perform can reflect our longing for beauty and giftedness; or it can easily just be a jealous coveting of others’ skills. Collins’ last two points are especially disconcerting, yet extremely accurate. The voyeuristic thrill of Reality TV fuels much of our modern appetite. We would rather watch other people suffer (especially our “enemies”) than deal with and rise above our own suffering. With apologies to our NASCAR friends, how many people watch racing mainly for the crashes? Or hockey for the fights? Or football for the big hits? Or Survivor-type shows for the smack-down and humiliation? Our sinful natures long to see others suffer or even just embarrass themselves. Yet God calls us to be people of mercy and compassion! We should be distressed at human suffering, not energized and excited by it! Finally, Collins speaks to the desensitization of the audience. To paraphrase our good friend Emilio, it is amazing that we decry violence in the movies, yet say little about 350 pound men destroying each other for the “love of the game.” That’s desensitization. And, we all know that “reality shows” are more show than reality, getting the viewer involved in staged stories at the expense of true reality. So while we lament all the “suffering” of our reality stars, we ignore the suffering going on with real people all over the world–especially other Christians! Our appetite for the typical degradation of Reality TV can be an idolatrous substitute for what God calls us to: A true hunger and thirst for righteousness! Tomorrow and Friday Dr. John Kwasny will be posting on the highly anticipated release of The Hunger Games. Yesterday, Entertainment Weekly referenced an article by Common Sense Media giving their assessment of the film. CSM stated that the film was too violent for some pre-teens, therefore, we wanted to hear your thoughts. Do you think a bunch of teenagers killing each other on live television is too intense for other teenagers to watch? Although I am not sure that I can pronounce his name correctly, M. Knight Shyamalan has become one of my favorite filmmakers. The Village (2004) is part of my top 10 films of all time to be sure (yes, it is even better than The Sixth Sense). While Shyamalan’s skill as a director is noteworthy, it is his story writing that intrigues me the most. He tells some of the best stories – asking profound questions and offering interesting answers to those questions. 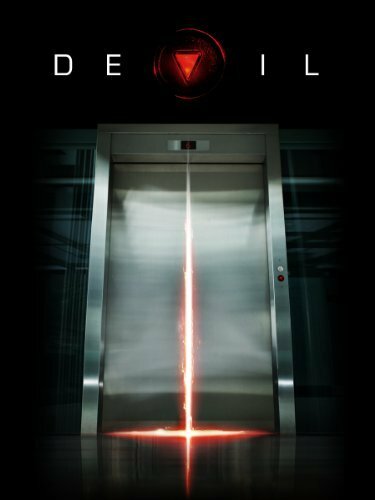 The highly underrated 2010 film, Devil, is one of those great stories. I must say at the outset, however, that the film is scary. While Devil does cause the heart to race at times and invoke sudden movement out of your seat, what makes it truly scary is the weight of the subject matter taken up in the movie. The film is after all about…the Devil. I know that I shouldn’t assume that everyone who may read this post believes that the Devil (or Satan) is real. Interestingly enough, Shyamalan begins his story by quoting 1 Peter 5:8, “…the Devil prowls around like a roaring lion, seeking someone to devour.” Let’s assume he is real. I will refrain from a full recap of the film for two reasons. 1) Shyamalan’s movies are best left to be enjoyed with as little plot “pre-release” as possible. His classic “twist-endings” are better if you know nothing going in. 2) I want to keep this post as short as possible so that you have some time to see this film (remember the scary disclaimer, of course). Devil is a story about repentance and forgiveness. The big question is whether there is any hope for those who deserve eternity with the Devil in Hell. The film presents the Devil as a being who occasionally takes human form in order to publicly torment those who are on their way to Hell. He makes this occasional appearance in order to make sure that people don’t forget his existence and to display his power over them. One character comments, “He always kills the last victim in front of the person who loves them most – to make cynics of them all.” The Devil wants people to be hopelessly cynical about the human condition. That is just what Detective Bowden (Chris Messina) is – a cynic. When questioned whether he believes in the Devil, he says, “No…I don’t believe in him…people are bad enough by themselves.” As someone who recently lost his family in a hit and run accident, Bowden has every right to be cynical. People do bad things. It is that simple. As far as he is concerned, bad people deserve punishment. He is a man of justice after all. First, this film gives the Devil too much power. What makes Devil so scary is to witness the destructive abilities of the Evil One. While I do not want to minimize Satan’s ability to reek havoc, I want to remind you that God is in ultimate control. The biblical book of Job, helps to illustrate God’s sovereign power – even over Satan’s actions in Job’s life. We must remember that God is ultimately in charge. Satan cannot make a move without God’s permission and ultimately for God’s purposes. According the film, people meet the Devil because they refuse to admit their sin. One character says, “They won’t see themselves as they really are…The lies that we tell ourselves introduce us to him.” This is too true. Satan wants us to think, “I’m not that bad” or “It’s not my fault I did that.” The truth is that everyone is a sinner and deserves Hell. 1 John 1:8-9 says, “If we say we have no sin, we deceive ourselves, and the truth is not in us. If we confess our sins, he is faithful and just to forgive us our sins and to cleanse us from all unrighteousness.” True repentance brings real forgiveness! I am grateful for films like Devil. That may sound strange, but it is true. Stories like this provide opportunities to discuss the essential questions of human life. The questions asked by writers and filmmakers like M. Knight Shyamalan are questions that the God of the Bible has answers for. What can be more essential than answering, “Is there any hope for those destined for Hell?” In Jesus Christ we can say – Yes!! Jesus is our only hope! 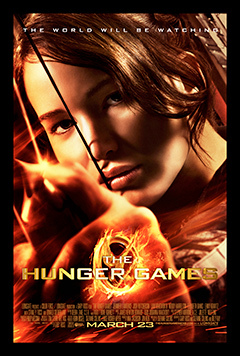 The Hunger Games – Set in a future where a girl and guy from twelve districts fight to the death on live television. Genre – drama, sci-fi; content – violence, disturbing images, sexuality, language. The Raid: Redemption – A SWAT team is sent into a crime lords building, so Hollywood can glorify violence and gore. Genre – action; content – strong brutal bloody violence throughout, language. Brake – With the exception of some nuances, this is the Ryan Reynold’s film Buried…except it’s in the trunk of a car. Genre – action, thriller, drama; content – violence, language, disturbing images.